This week is crunch time as we do all the last minute prep for our party in those spare after work hours we call free time. 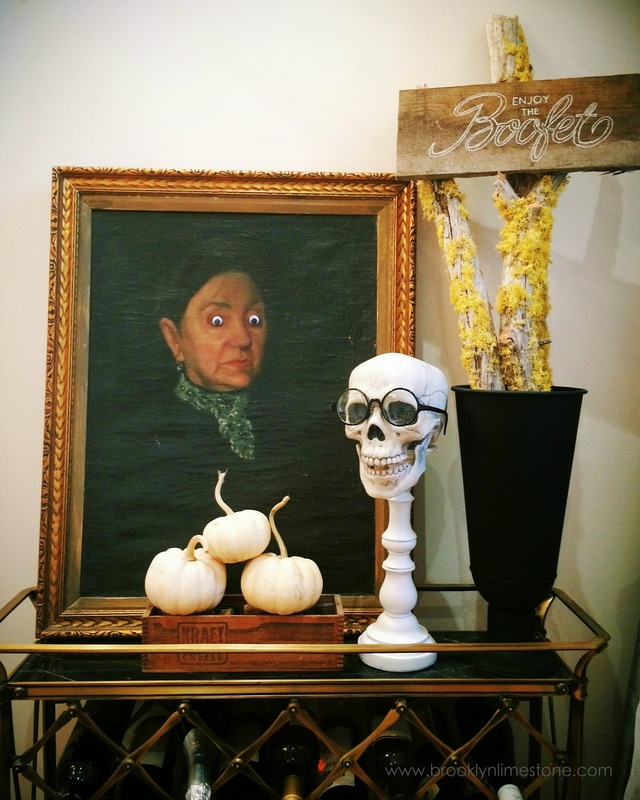 This little project (using the same technique I used for my vintage trunk) took only a few minutes to make and I think it will be a fun add to my Halloween collection. I used a board I cut from those dastardly pallets, text I printed out, a ballpoint pen and white gelly roll pen. Just trace over the paper onto the wood using the ballpoint pen as hard as you can to leave an impression on the wood. Then remove the paper and follow that impression you just made with the white pen. Done! 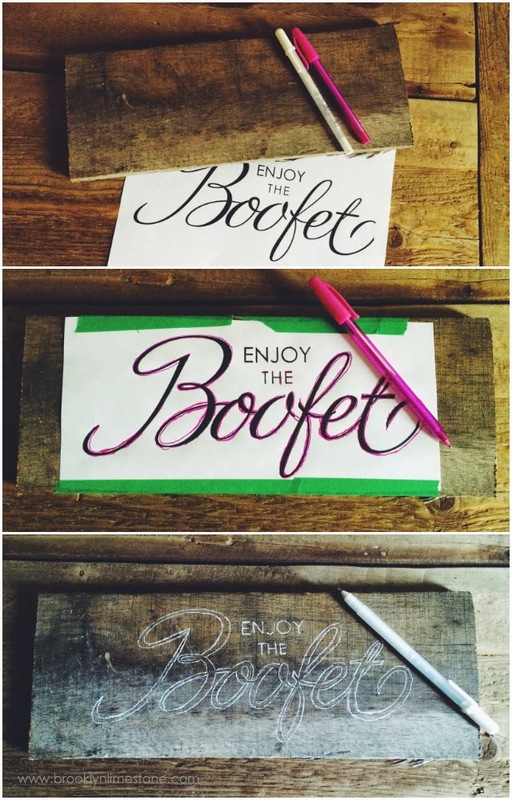 The spelling of boofet vs. booffet is up for debate but I'm cool with it. Now if I could just finish the rest of my to-do list before that first trick or treater arrives on Friday, Ill be all set.